The foreign secretary tweets his support for the leading Brexiteer as the PM delivers a statement to the House on Brexit progress. 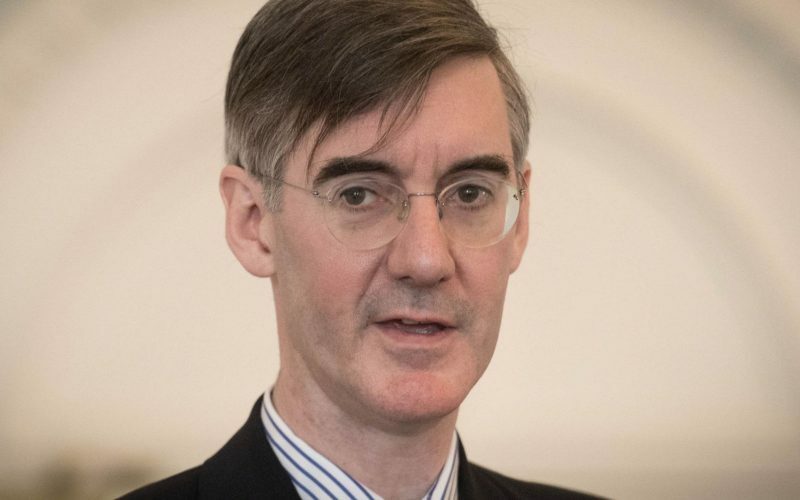 Boris Johnson has leapt to the defence of Jacob Rees-Mogg after the leading Brexiteer was rounded on by fellow Conservative MPs. The MP for North East Somerset has been widely attacked for demanding Prime Minister Theresa May “stand firm for what she herself has promised”, prior to crunch cabinet discussions on the PM’s plan for a future UK-EU relationship. Foreign Office minister Sir Alan Duncan was among those who hit out at Mr Rees-Mogg’s “insolence” in “lecturing and threatening” the PM, stating it was “just too much”. Several other MPs also backed Mrs May. But unlike his Foreign Office colleagues, Mr Johnson jumped to defend his fellow pro-Brexit Conservative colleague, amid claims from Labour that the Tories were beset with infighting. He tweeted: “It’s vital that all MPs are able to air their views on Brexit. The foreign secretary’s intervention came while Mrs May was in the Commons giving a statement about the EU Council summit last week – where leaders took just 60 seconds to approve their joint approach on the UK’s exit. Amid an intensification of the row between Leave and Remain-supporters, cabinet ministers are due to make key decisions on Brexit at a special meeting at Chequers on Friday. Mrs May told the House she had been forced to admit at the council summit that MPs were unlikely to back the Withdrawal Agreement if there was not clarity about what would follow. She said: “We all agreed we must urgently intensify the pace of the negotiations on our future relationship. She reiterated the government was sticking to its pledge to leave the customs union and single market, to avoid a hard border between Ireland and Northern Ireland and to stay out of the European Economic Area (EEA), despite reports to the contrary. Responding to the prime minister’s statement, Labour leader Jeremy Corbyn said the government had consistently “mishandled” the Brexit negotiations. He said: “This government has mishandled these negotiations every step of the way. Referring to the bitter public battle being waged among senior Tory MPs, he said: “The division and infighting in the cabinet is having a debilitating effect on this country and threatens jobs and communities in every part of the UK. “I don’t envy the prime minister. The row among senior Conservatives spilled over into the chamber when Remainer Nicky Morgan made a thinly-veiled attack on Mr Rees-Mogg. After the Brexiteer asked the PM to confirm the UK would definitely be leaving the customs union at the end of the Brexit transition period, she asked if Mrs May agreed that rather than listening to “red lines as set down by the member for North East Somerset”, she should do what “Conservative prime ministers over the ages have done, which is to find a pragmatic, sensible and flexible Brexit which delivers on the referendum result and but protects business and jobs and the economy”. In an apparent bid to overcome the divisions within Mrs May’s party, Downing Street has produced a third model for post-Brexit customs arrangements beyond the two that ministers are currently at loggerheads over. After the Chequers meeting, the government will publish a white paper outlining its detailed negotiating position on a future UK-EU relationship. It is understood this will be released on 13 July, the same day US President Donald Trump will visit the UK.